One of the key features of the VariCam 35 and new VariCam Pure 4K cinema cameras is uncompressed RAW capture to Codex V-RAW recorders. The VariCam LT was launched in 2016 as a professional 4K cinema camera, primarily targeted at indie and documentary filmmakers. Although it shares the same sensor as the VariCam 35, the LT, up until now, did not feature RAW capture. 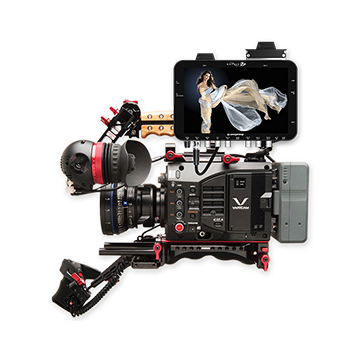 For VariCam LT users looking to capture RAW files, Panasonic has released firmware for our VariCam LT that allows you to output 12-bit 4K RAW files externally to a Convergent Design Odyssey 7Q or 7Q+ recorder. You can capture 4K RAW up to 30-fps over a single SDI and up to 60-fps (10-bit) with dual link SDI. Convergent Design’s Odyssey 7Q+ is an advanced recorder that can record HD/2K/UHD/4K via SDI and HDMI, as well as being a fully featured OLED 1280×800 monitor with RGB waveforms, histograms, and the ability to monitor LUTs. With the Odyssey RAW Bundle upgrade, you can record both uncompressed DPX, and Apple ProRes 422 HQ files. So what is RAW – but more importantly – why should cinematographers capture RAW files? In a nutshell, a camera RAW image file consists of slightly processed data from the image sensor of a camera. Its origins come from still photography in which the image is processed by a RAW converter in a wide-gamut color space where detailed adjustments can be created before it’s converted to a “positive” file format such as TIFF or JPEG for storage. “Ideally it’s about maintaining the image at its best possible quality, with no constraints on color space or any perceptual tone mapping, thus preserving the widest gamut and maximum dynamic range,” explains Panasonic Senior Technologist Steve Mahrer. “Less processing in the camera allows for more creative control over the image parameters later in post, where the tools and their control is often better. If I’m going to record my image data in the camera, I want to capture the image with the least possible manipulation, certainly nothing that limits any useful or critical parameter. “Our philosophy is if you want RAW, do it properly,” continues Mahrer. “With this philosophy, and without using any lossy compression, we are able to hand off the best possible recorded RAW signal quality to the post production operations, ensuring a better end result after grading. Meredith recently tested out the RAW capture with the Odyssey 7Q+ shooting a “short story” video piece in Los Angeles. 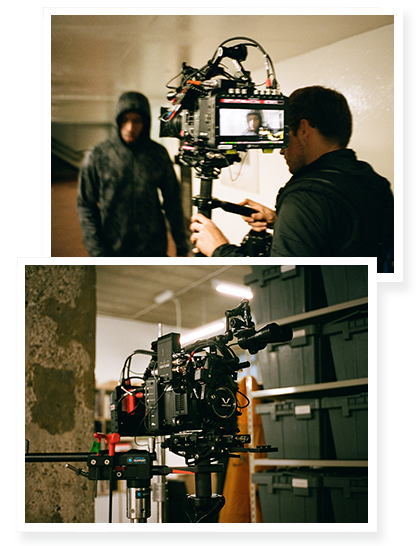 He used a simple set-up – his VariCam LT, a SmallHD 502 monitor, cine-modified Leica lenses, and a Zacuto Pro baseplate. For more information on the VariCam LT, please visit our dedicated Varicam webpage. For information on the Convergent Design Odyssey 7Q+, please visit https://www.convergent-design.com/plus. Check out Ben Meredith’s reel here. The VariCam LT has also been put to good use in the UK. London based production company Pundersons Gardens recently completed the first production in Europe using the camera's newly introduced RAW recording capability and Convergent Design integration. Provided and set up by leading rental provider VMI, the night shoot was a music promo video for UK grime artist Trim who recently signed James Blake’s 1-800 Dinosaur label, and was directed by Chris Read and shot by Pundersons Gardens co-founder Jeremy Valender. The production was shot entirely with vintage two anamorphic Cineovision lenses to give a filmic look, and makes use of the VariCam’s RAW recording capability and Convergent Design Odyssey 7Q RAW integration with the new HD Titan Extract firmware release. The integration was recently enabled as part of a September 2016 firmware update, announced at IBC 2016. “We did some initial low light tests with a number of cameras, and I was shocked at how good the camera was. We shot using only the available light at night, and most of the time we spent blocking light out rather than trying to add more, because we just didn’t need it,” said Valender. Shot entirely at 5000 ISO at native 4K, the 16:9 RAW output was then de-squeezed in post-production to create the 2.66:1 final version, with monitoring on set de-squeezed via the Odyssey 7Q. 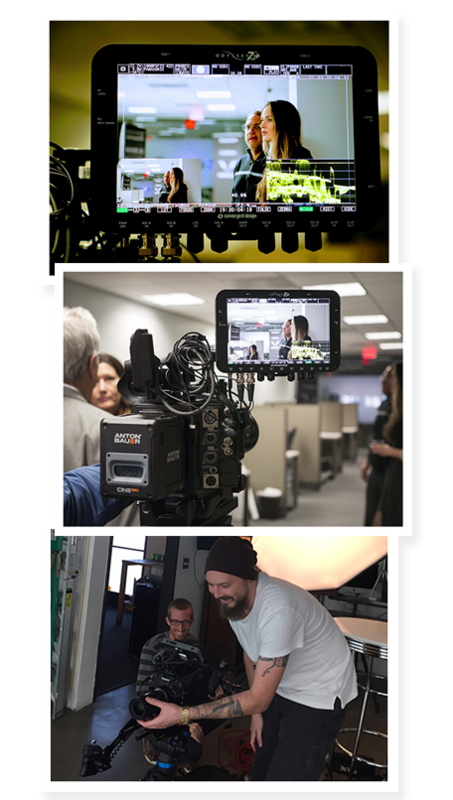 Connected to the VariCam LT via its built-in 3G-SDI terminals, the Convergent Design Odyssey 7Q recorder/monitor used by Valender has a trigger recording functionality, allowing the external recorder and camera to automatically start recording simultaneously with matching timecodes. “The low light performance was the primary reason for choosing the LT, and the 5000 ISO function was like shooting at 800 on any other camera as regards to noise. The other thing that surprised me was the amount of colour – especially with the low light, a lot of other cameras’ colours wash out a little bit, but the LT’s strong colour saturation gave us a lot to work with in post,” added Valender. “The quality achieved by full 12 bit RAW capture from the Panasonic VariCam LT to RAW-enabled Odyssey 7Q recorders has not been available before at this budget level and this is something that we are very excited about for our high-end clients,” added Barry Bassett, VMI’s Managing Director.